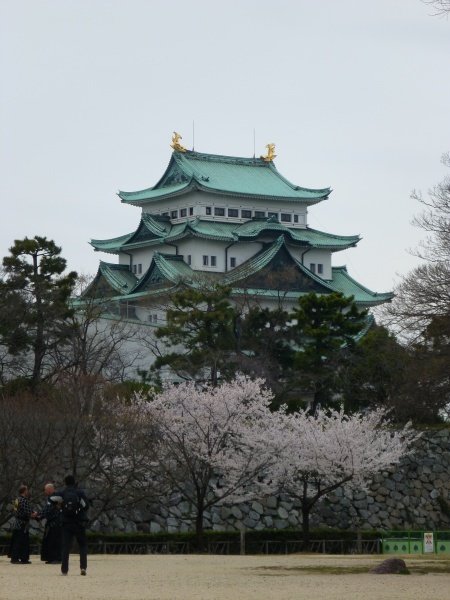 Osaka may not be able to hold your attention for very long if you only came for sightseeing but what the city misses in attractions it certainly makes up for in food. Cafes, restaurants, coffee shops are always crowded from opening hours till they close. A Japanese friend who came to visit from Nagoya, was surprised to see the amount of people eating or drinking throughout the day.”It’s not like that in Nagoya”, she told me. 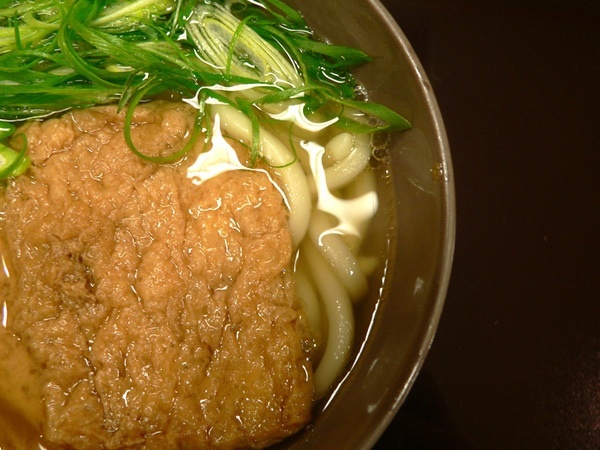 What should one eat then when they visit Osaka. The good thing about Osaka’s food is that it is relatively cheap as you don’t necessarily have to dine in a restaurant to experience the food except for Shabu Shabu which you will discover later.Most of the food can be eaten in cheap Tachi nomiya, a place which you don’t even have to sit down, you stand up order your food and drink and eat it at the counter. One of the first questions you will be asked when you come to Osaka is “Have you eaten Takoyaki yet?” Takoyaki is the most famous food in Osaka. It is a small octopus ball cooked in flour and water with a piece of boiled octopus, served with finely chopped spring onions and covered in a flavoursome sauce. They are cooked on a hot plate filled with holes so they come out in a ball like shape. Even though they are small, be warned don’t put a full one in your mouth. They are served scolding hot. 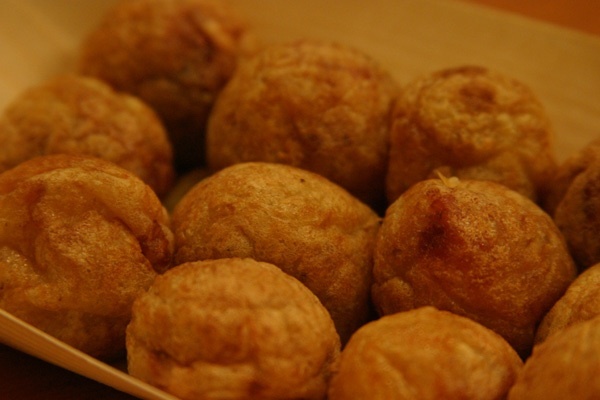 Takoyaki’s are usually served in 6 or 12 balls depending on the size and price. Expect to pay anywhere from 300-600 yen. 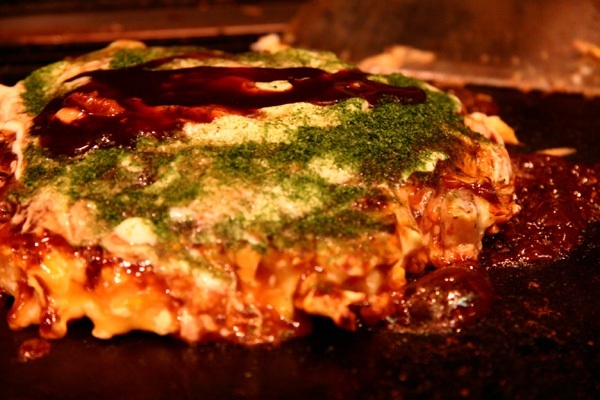 Okonomiyaki is especially enjoyed eating in a large group, so the okonomiyaki can be shared between a group of people. Expect to pay anywhere between 500-800 yen. Expect to pay 400-600 yen for this dish. If you are a beer drinker then you will love Kushi Katsu. 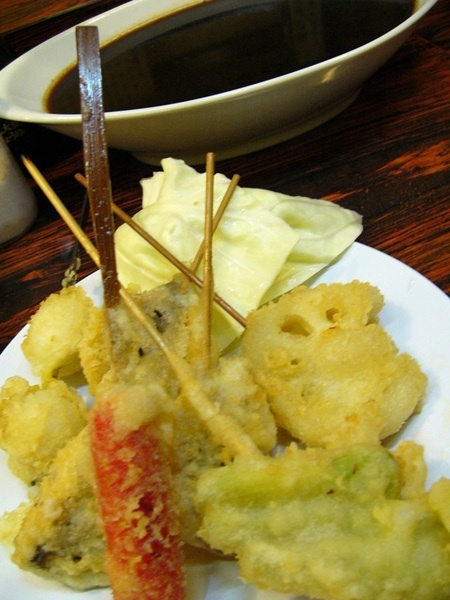 The small deep fried battered meat and vegetables skewered on bamboo sticks make a great combination with a cold beer. There are certain sauces, condiments such as spice, salt, tartar for the kushi katsu to be dipped in depending on what has just been skewered. These are to be shared so don’t go dipping your kushi katsu into them after you have taken a bite as it is considered bad mannered. 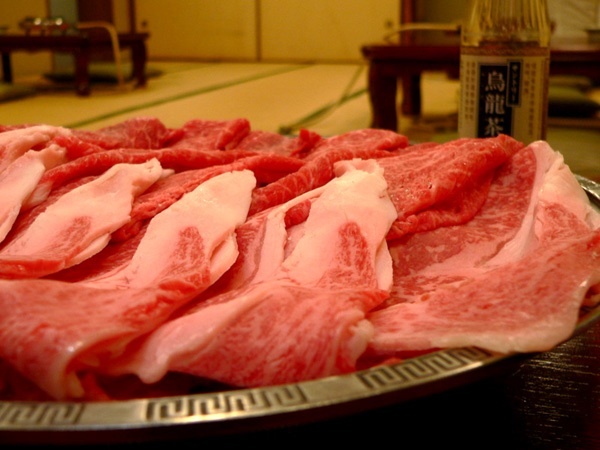 Shabu Shabu is cooked in a nabe (hot pot) and the vegetables and tofu simmer in the boiling water, the meat either thinly sliced beef or pork is quickly dipped into the broth before being pulled out still rare or cooked to how the people prefer. The meat is then dipped in either a citron vinegar soy sauce or in a sesame sauce dip which I prefer. What food did you eat when you were in Osaka? We would love to hear from you about your dining experience in Osaka. 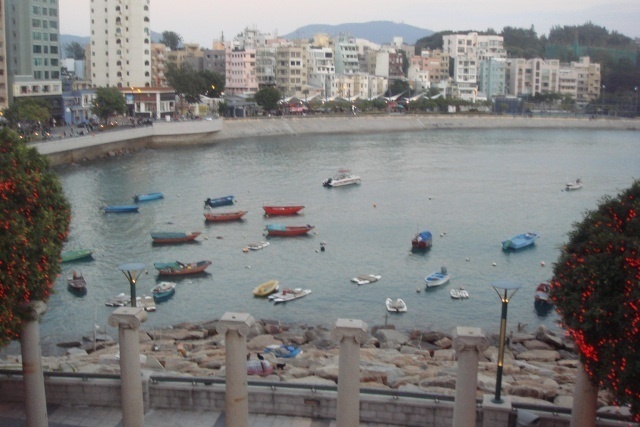 Stanley is situated on the Southern Peninsula of Hong Kong, a 30 minute scenic coastal ride from Central is a picturesque little village with a broad promenade that you might mistaken for a coastal town overlooking the Mediteranean. 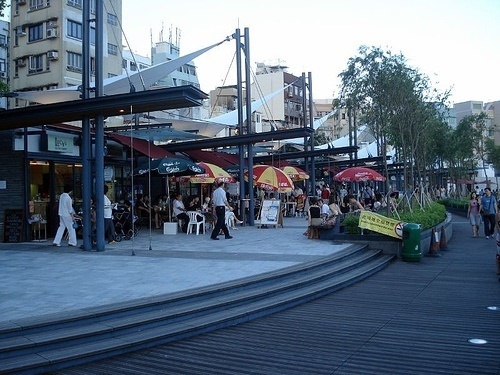 The restaurants, cafes, bars that line the promenade are filled with mainly tourists, kicking back having a couple of pints, watching people walk by or chatter with other fellow travelers. Stanley first served as the provisional administrative for Hong Kong before the settlement of Central and was named after Lord Stanley, a 19th Century British Secretary of State for war and colonies. Stanley though has more to offer than just a place to have a couple of beers along the promenade and what most of the people actually come here to do is check out the market that caters to tourists. You won’t see many locals shopping here because it is cheaper in the other markets but things are still pretty cheap. Prices here seem to have more of a fixed price or only a little discount is given. 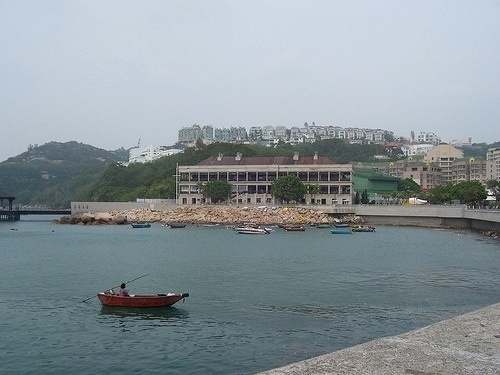 To the west of the promenade is the Tin Hau temple. The building is very simple, a plain grey tiled, concrete brick building. 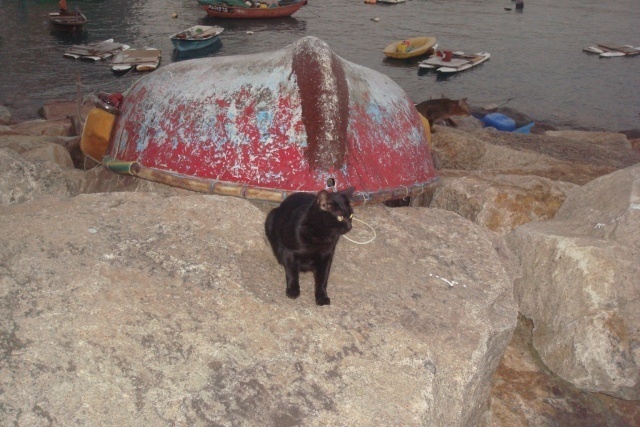 The temple was built in 1767 as the goddess of the sea, most fisherman make wishes to protect them from dangerous seas. 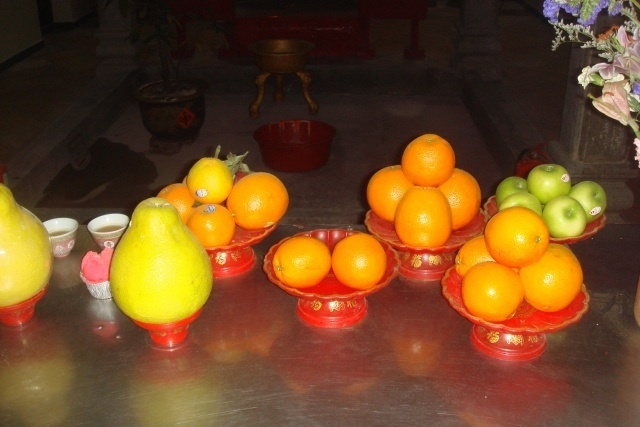 Inside the altars were rather small, each altar had a Buddha sitting in front of it with a gold face, draped in red traditional cloth, in front of each Buddha were bowls of fruit as offerings made to the God. Hong Kong once had many Victorian Era buildings but if they were located on prime land they were often demolished. The Murray House which is located next to Tin Hau temple was actually dismantled in 1982 to make way for the Bank of China Tower in Central. Murray House was finally reassembled during 1998/1999. To make it even more interesting when they finished reassembling the building there were five left over pillars that are now used as an art display. Murray House, now houses restaurants and the maritime museum. 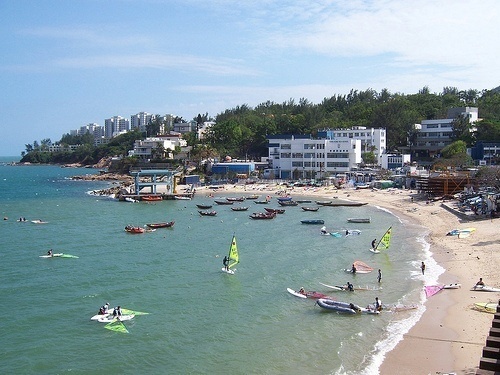 Stanley also has two beaches that are well known for windsurfing and its dragonboat racing, so we spent a few lazy hours on the main beach, relaxing in the mild weather watching the windsurfers. Stanley does not feel like Hong Kong but for me it was a wonderful place to spend a day and to my surprise was one of the highlights for me. Having said that I’m an Australian who has been living in Japan for 14 years so that western side of Hong Kong, might not be that great for everyone. Have you been to Stanley? We would love to hear all about it. Many cities in the world are easily recognisable by their iconic landmarks. Paris has the Eiffel tower, New York has the Statue of Liberty, Sydney has the opera house and to a lesser extent Milan has its Duomo. For some the Duomo is the only place a tourist might visit before catching the next train out of the city. The Duomo rightfully so should be the number one attraction of the city with its pure white marbled facade and Gothic architecture taking over 600 years to complete. The extravagant spires and sculptures that line the rooftop of the third largest cathedral in the world would be a highlight in any city. There are other attractions that are worth your time in Milan. For the art lovers there is the unique opportunity of viewing Da Vinci’s masterpiece The Last Supper in the monastery of the Santa Maria Grazie’s church. You will have 15 minutes to view the painting with 25 others, giving you a chance to appreciate the work and ask any questions you have to the guide. It is expensive but well worth it. You need to book at least a month in advance as tickets sell quickly. You can’t buy tickets at the church but some day tours do include the Last Supper on their itinerary. The Castello Sforzesco, an immense red castle formerly a Visconti fortress before becoming the home of the Sforza dynasty who ruled Renaissance Milan. The castles defenses were designed by Da Vinci. It is free to walk around the grounds but the castle now holds two museums containing art and another one for musical instruments. The other gallery worth a look if you still haven’t had your fix is the Pinacoteca di Brea which houses Milan’s most impressive collection of masters. These museums may not measure up to the museums of Florence and Rome, they are however world class museums in their own rights. Milan is the home of two teams AC Milan and Inter Milan. The two teams are amongst the most popular teams in the world. They share the same stadium San Siro.The season starts in August and ends in late May. Games are played on Friday, Saturday and Sunday and if you are in Milan during the off season or not over the weekend, you can still take tours of the stadium that includes entrance to the team club rooms. Milan is notorious with opera and there is probably no better place in the world to see it than at Teatro Alla Scala. Seasons usually run from October to April, with other performances held outdoors in the Summer. Dress appropriately and enjoy the cultural experience amongst the Milanese people or if you don’t want to splash out on expensive tickets you could always purchase tickets for standing room only. What is probably more well known to Milan than the Duomo and even the opera may just be the high end fashion boutiques of the countries leading designers. Places to see the high end fashion strips are the arcade of the Galleria Vittorio Emmanuelle II to the high fashion alleys of the Quadrilaterio D Oro. Fashion weeks are held in January and February as well as June and September. When on holiday you have to eat and in Milan there are many great dining experiences . Two places not to be missed are the restaurants and bars that line the canal area　of Navigli for as little as 9 euro you can enjoy happy hour from 6-9 pm which will get you a drink and all the food you can eat from the counter of anti pasti, bruschetta, cured meats, salads and even seafood, pasta and Milanese cutlets. The second place and not to be missed is the Peck Emporium which originally opened its doors as a deli in 1883. It has now expanded to a food hall stocked with variations of cheese and cured meats for starters. Other treats include an inquisite array of chocolates, pastries, freshly made gelato, seafood, pate, fruit and vegetables, truffle products, olive oil and balsamic oil. Hong Kong, a metropolis of 7 million people is one of the most densely populated places in the world but it wasn’t always like this 400 million years ago when the lands were formed Hong Kong lay under a cover of shallow water. 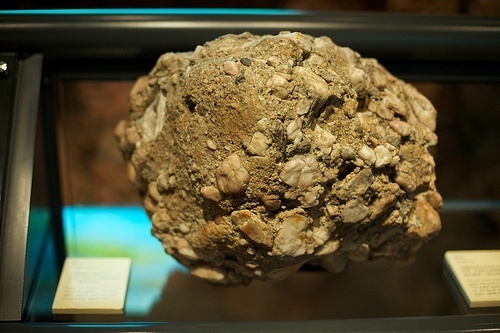 The earth’s crust rose when the volcanoes erupted forming the hilly, mountainous terrain that is now Hong Kong. In fact only 25% of the land is built on due to the terrain. As the land formed rocks and other small specimens fossilized, that were once covered by water Emerging from a narrow tunnel we moved into a forest with trees rising 18 metres high, the place was dark, birds chirping, the roar　of a tiger could be heard, the growl of a bear. 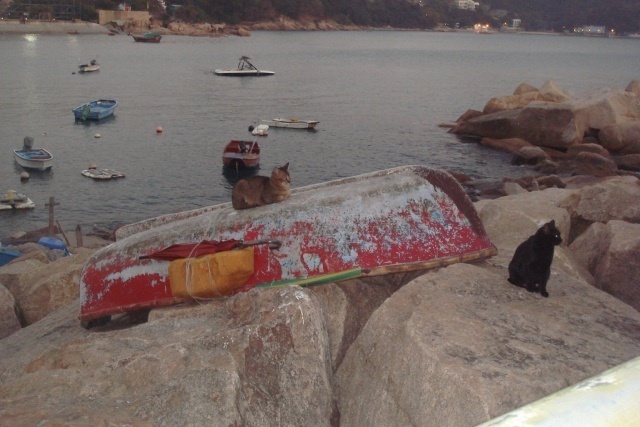 Did these animals really excist in Hong Kong? 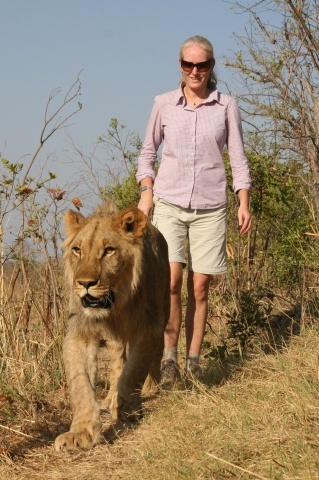 I thought putting people’s lives in Jeopardy from these dangerous animals. Well of course they did but not now ,they have been killed or died hundreds of years ago. I just happen to be standing in the second gallery of Hong Kong’s Museum of History, established in 1975. 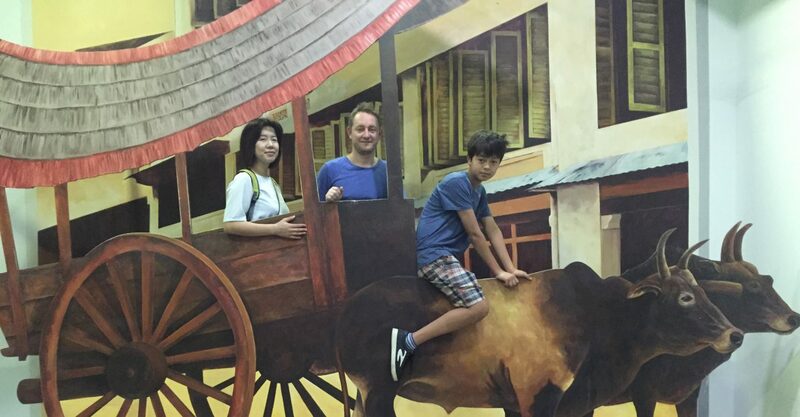 A great museum that only gets better as you progress through its history from the formation of its land to the handover of Hong Kong back to China. When you visit the museum make sure you give yourself plenty of time to cover the 17,500 sqm to take in Hong Kong’s broad and dynamic history. 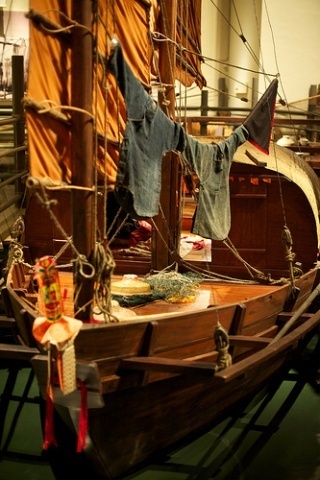 Culture plays a big part in the museum with a life size replica of a fishing junk, showing the lifestyle of the fisherman in Hong Kong. The wedding ceremony where the bride is carried around in a cart pulled by people to the huge opera masks and then the housings of Hakka peasants family dwelling, with its sparseness of furniture reflecting the Hakka people’s frugal lifestyle. 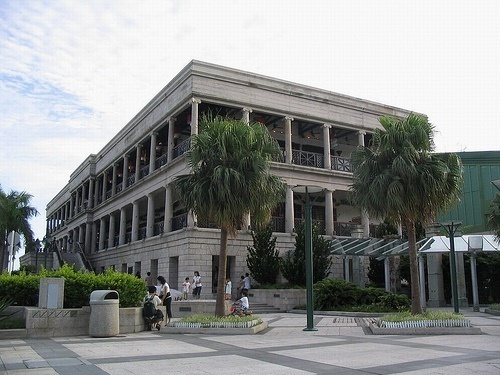 The next few galleries are the most important historically to Hong Kong covering the Opium wars where Hong Kong and England went to war ending with the signing of the lease to England. The Japanese occupation during the second world war with the gallery designed as an air raid shelter in order to conjure up the atmosphere of war. It took Japan only 18 days of fighting before Hong Kong surrendered on Christmas day in 1941. 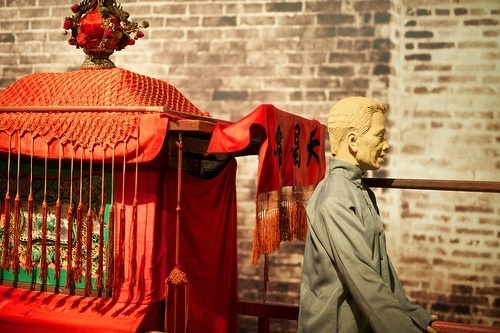 The last gallery covers the rapid advances in housing industry, finance and trade reconstruction of Hong Kong’s post war and bringing the story to a close with the handover ceremony marking the return of sovereignty to China. The museum is a must see worthy of at least 2 hours. 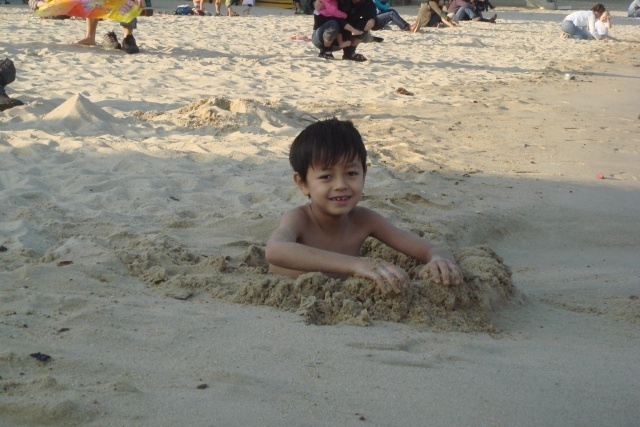 You should visit early in your vacation to Hong Kong to get a better understanding of the country. Art comes in all different forms, shapes and sizes. What one person thinks is beautiful or great another person thinks is awful, that is the beauty of art in itself. Over the years there have been different forms of art, some have been easily accepted by the public but other forms have been quite controversal. 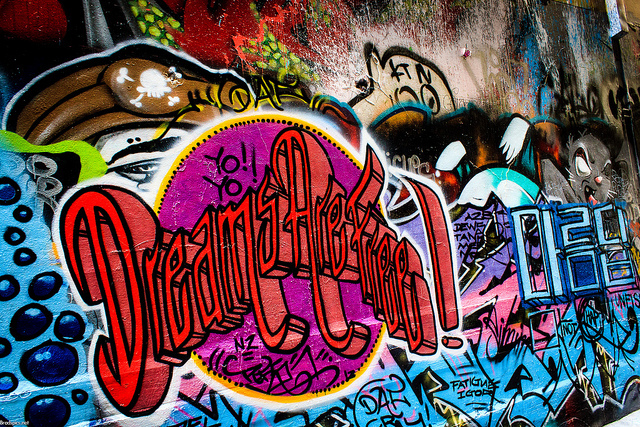 Street art has been one of those controversial forms and it has come along way since it was first being tagged on the walls of New York in the late 1970’s early 80’s. 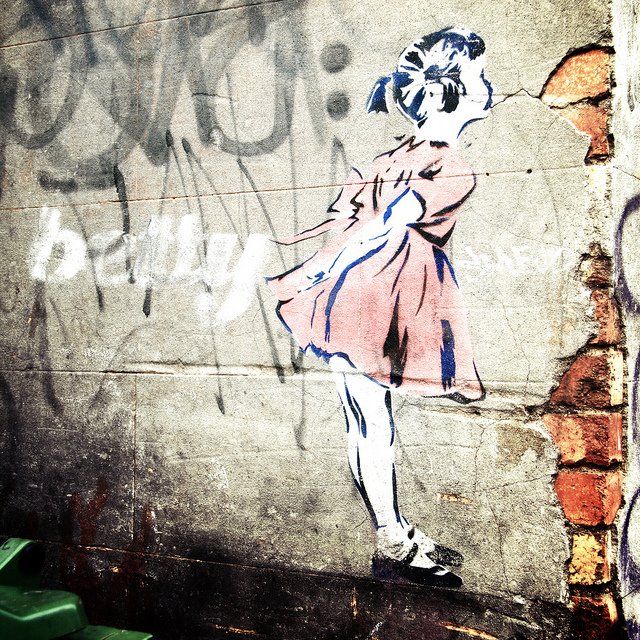 Street art swept across the globe appealing to the youth’s street subcultures. Melbourne’s inner suburbs, trains and tram lines were covered with, back then what was known as graffiti. Melbourne though was the first to embrace street art, with an enclave of alleys and lanes, the city council set aside for street artists to spray. 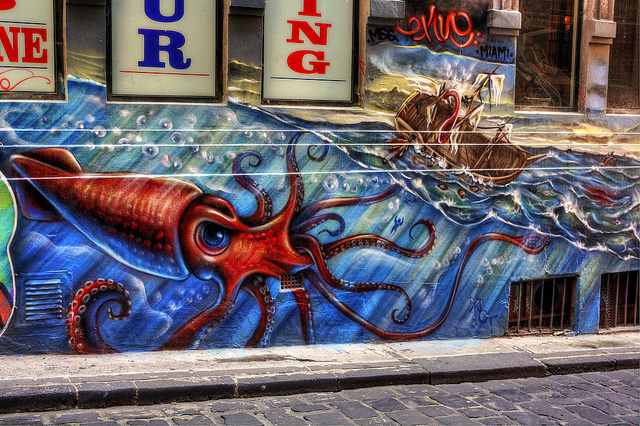 Hosier Lane is the cities most famous laneway for street art. The lane is wall to wall covered in art. Each day tourists and locals of the city come to see the artists at work spraying their visual creations. Stencil artists needs the skills of a screen painter and the artistic flare of design. There is nobody better in the field of stencil art than Banksy, an artist from the UK. The lanes in Melbourne were lucky to have two pieces of his work, unfortunately one was destroyed due to vandals even though it was covered by a perspex screen to prevent it from being destroyed. Vandals poured silver paint over it, then tagged it with words “Banksy wos ere”. The other one was when city cleaners accidentally destroyed it when they were removing tagging graffiti. Street art though is still only tolerated in places which the council allocated and if caught in other alleys or with spray cans, the offenders will be issued a fine of over $20,000 or up to two years in prison. The city can now add another title to its impressive list as the street art capital of the world. Lanes found in Melbourne where street art can be seen. Have you seen the street art in Melbourne. We would love to hear what you thought of it. 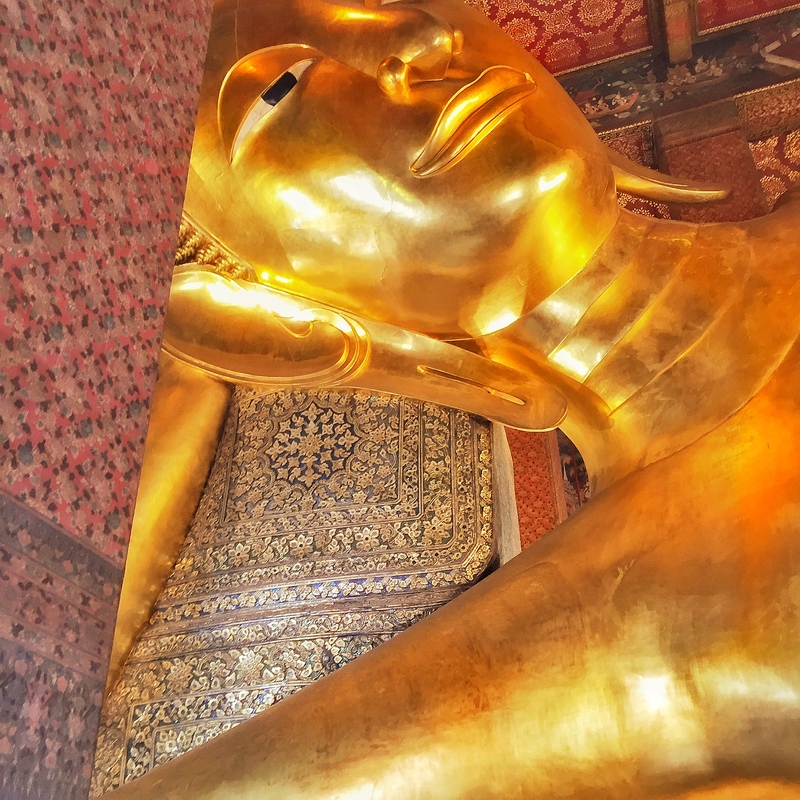 The Kannon rises above us, sitting on a lotus leaf with its legs crossed, its arms, not one, not two but 40 arms entwine around one another, holding a variety of tools to remove pain from people and to bring joy to them. 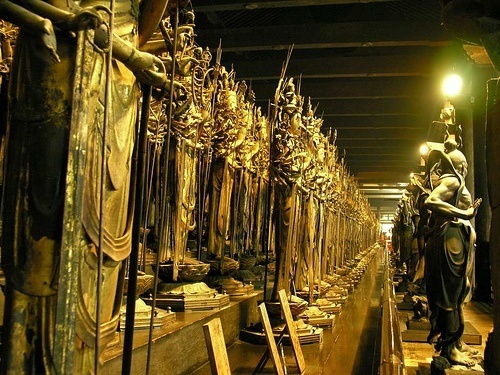 The Kannon is flanked on either side by 500 smaller Kannons lined neatly in a row. 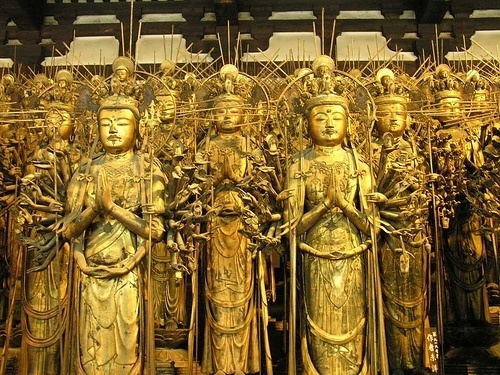 An elderly Japanese couple blurt out “dekai” (gigantic) on their first sighting,the Kannon stands at 11 ft tall The kannons are housed in the Sanjusan gendo temple, the largest wooden building in japan, that stretches 118 metres in length. 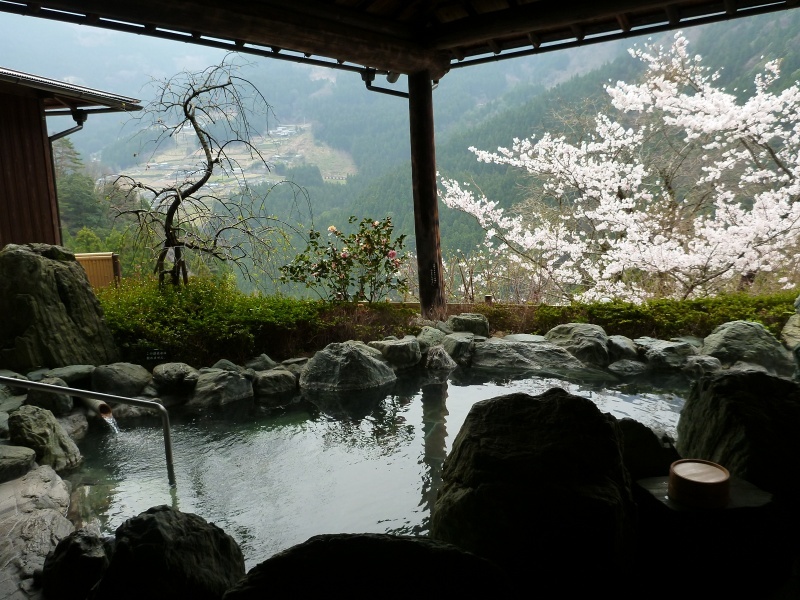 The original temple was built in 1164 at the request of the retired Emperor Go-shirakawa, after it was burnt to the ground in 1249, it was rebuilt in 1266. The temples name refers to the 33 (sanjusan) bays between the pillars of this long, narrow building. 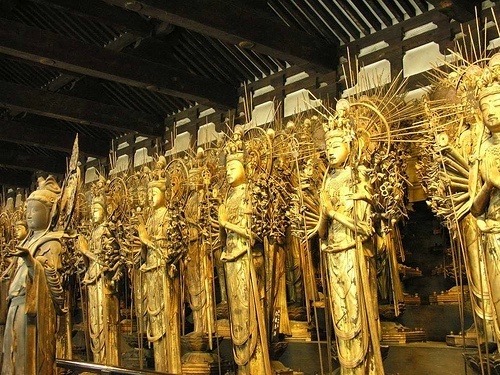 A famous Japanese sculptor, Taro, who was 82 at the time carved the Kannons along with his trusty apprentices who carved the smaller ones. “Mama,Mamma, look,look it’s papa,it’s pappa”shrieked a little girl, pointing to a round, faced golden statue, causing her mother to laugh, Japanese like to point out the kannons that resemble family members or friends, you often can hear the laughter of when someone can spot a resemblance. 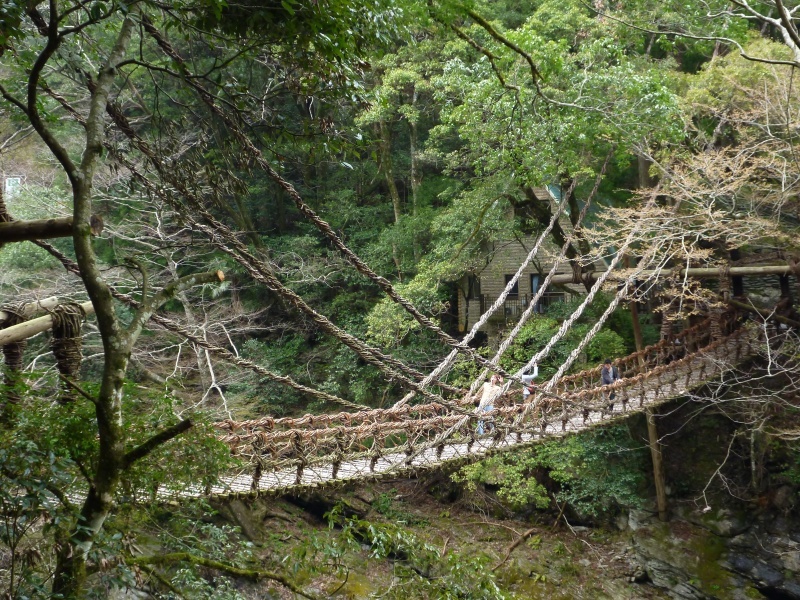 The temple is also famous for the Toshiya festival, held on January 15th, when archers shoot arrows the length of the hall. The ceremony dates back to the Edo period when an annual contest was held to see how many arrows could be shot from the southern end to the northern end in 24 hours. The all time record was set in 1686, when an archer successfully landed over 8000 arrows . The participates now are girls dressed elegantly in kimono celebrating their coming of age day. The temple also comes to life in January for the event known as the Rite of Willow, worshippers are touched on the head with a willow that contains the pain-killer salicin, as well as holy water which has been prayed over for seven days and then is poured over pilgrims, drawing out evil and curing illness. HIs brother was then appointed leader and he too challenged Musashi for a revenge match, again Musashi arrived late and again the same result for the Yoshioka clan. Yoshioka clan were then led by the yougest son, a 12 year old boy this time Musashi did not arrive late, he arrived early and killed the entire clan including the 12 year old boy. The temple is a 15 minute walk along shiokoji dori, which is the street outside JR Kyoto station. You can also take bus NO 206 or 208 and get off at Sanjusangendo mae stop.